Unfortunately women with PCOS are at high risk of infertility and infertility rate with PCOS is very high. 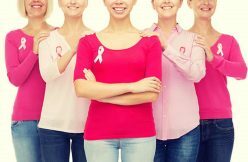 During PCOS women are producing increased levels of androgens (male hormones) which is caused by the enormous production of insulin in their bodies. Another problem caused by PCOS is being resistant to insulin which makes women more prone to diabetes. During normal menstrual cycle healthy ovaries develop several follicles and each follicle contains the egg but after some time only one follicle is spared to produce the egg needed for the ovulation. The valuable rick of LH is needed for actual ovulation – increased level of LH is a signal for ovulation. Women with PCOS are incapable of producing sufficient amounts of female hormones that are necessary for the follicles to reach their maturity. As a result of hormone deficit undeveloped follicles transformed into small cysts. They are often seen as a string of pearls through the aid of an ultra sound technology. These so called string of pearls are follicles that were not able to reach their maturity – ovaries are more likely to have several cysts on their outside layer. Furthermore, progesterone is not produced that causes the uterus lining to grow thicker. All mentioned factors (lack of hormones, absence of ovulation, and multiple cists) are main causes for infertility in PCOS women. PCOS is one of the most common reasons for female infertility. About 5-10% of all women of reproductive age suffer from PCOS. However, only about 25% of women who actually have PCOS are diagnosed as having it. Some PCOS women get lucky and are able to become pregnant even during irregular menstrual cycle (oligomenorrhea). PCOS is found in about 70-75% of women who have ovulation problems leading to infertility. 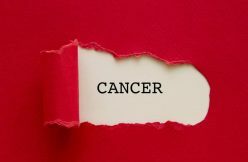 This is more common in women who are overweight, and as a first-line treatment, weight reduction can be very successful in restarting spontaneous ovulation. It is noted that even 5-7% weight reduction could be enough for increased number of ovulation cycles. The good news for women who are suffering from PCOS is that infertility treatment is available and very often this treatment is successful. 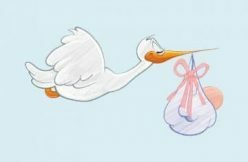 PCOS infertility treatment is available – ranging from fertility drugs for PCOS to surgery, a variety of options may need to be tried before you get your happy pregnancy. PCOS Infertility and Weight Control. There are treatments for PCOS that can be as simple as weight loss. Losing weight often helps offset hormonal imbalances. 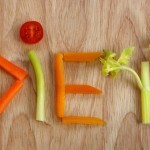 Weight loss can sometimes help to improve hormone imbalances and restore normal menses. Metformin is a drug which can be helpful in the formation of insulin. Metformin is safe for women without diabetes because it affects insulin production without lowering blood sugar levels. 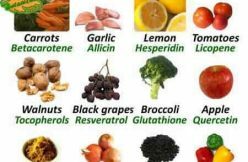 This drug improves the body’s sensitivity to insulin – it helps your body to use insulin better so that you do not produce as much insulin to control blood sugar. High insulin levels appear to be what creates the high levels of male hormones. By reducing insulin levels, male hormones also decrease. Often Metformin reduce level of androgens (male hormones) which is becoming enough for resuming normal ovulation. Clomid (or Clomifene citrate) is the most commonly used drug to stimulate ovulation in PCOS infertile women – this drug tricks the brain into thinking that the body is low in estrogen and PCOS body will then comply by beginning ovulation. Clomid works by blocking estrogen receptors in the brain. With estrogen receptors blocked the brain is tricked into thinking there are low estrogen levels. Low estrogen levels trigger the body to produce more FSH and LH. FSH and LH are what signal the body to ovulate. Clomid is often successful at bringing about ovulation but only 30-40% of the women who do ovulate from Clomid will actually become pregnant. In most cases clomid is taken in the early days of the cycle (usually days 2 to 6) and results in ovulation in around 80% of women overall, and a six month successful pregnancy rate of 45% to 50%. Clomid users should know that there are some side effects associated with the use of clomid, including an increased chance of having a multiple pregnancy. It is well known that prolonged use of clomid has not found to be beneficial. 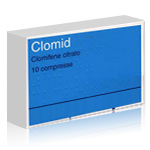 In general, it is recommended that clomid be prescribed for three to six cycles. If ovulation does not occur in this time, it is advised to move on to another type of treatment. If clomid is unsuccessful, the next step is to use injectable hormones to stimulate the ovary to produce eggs. Injections of gonadotropins (FSH and LH) work directly to stimulate follicle production and ovulation. These injections require more monitoring than Clomid and are generally used only after other options are tried first. 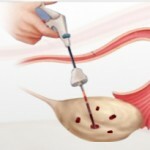 The alternative PCOS surgical treatment called laparoscopic ovarian diathermy (LOD) – known as “ovarian drilling”. Similar to laparoscopy, this involves a day case operation, a short general anaesthetic, and a telescope look into the abdomen. The ovaries are identified and several small holes made in each ovary, either with a fine hot diathermy probe or via laser. Ovarian drilling is a procedure where a small needle can be used to puncture tiny holes in the ovary with an electrosurgical needle. The electric current destroys a small portion of the ovary. This may result in lowering androgen levels and restoring ovulation and can also make the ovary more sensitive to clomid. During 12 months after ovarian drilling the average pregnancy rate is about 60-80%, the greatest success rates being in women with a shorter length of infertility (less than 3 years) and a higher level of the hormone LH (>10 iu/l). Advantages of ovarian drilling include the fact that it may improve other symptoms of PCOS, such as menstrual disturbance, as well as avoiding the need for stimulatory drugs and their increased risk of over-stimulation and a multiple pregnancy. Less common is Ovarian Wedge Resection. Due to the increased risk of scarring and permanent ovarian damage, if your doctor suggests this procedure, please get a second opinion. It is no longer recommended in the treatment of PCOS. In vitro fertilization (IVF) is another option for PCOS infertility treatment. In vitro fertilization is procedure where mature eggs are collected from the woman’s ovary. The eggs are then fertilized and implanted in the woman’s uterus. During IVF usually special medications are used to produce mature eggs. Success rate of IVF procedure can depend very much upon individual characteristics such as age, length of infertility and weight. Additionally, neither IVF nor ovarian stimulation is likely to be successful if a woman is severely overweight (body mass index is greater than 30). This is why most hospitals and fertility clinics restrict these treatments until a woman’s weight is within the normal range. IVM (in vitro maturation) is a procedure where immature eggs are harvested early in a woman’s cycle. The eggs are matured in a laboratory and can then be used for fertilization. During IVM the eggs are matured in the laboratory – this method can be helpful for PCOS women who do not respond to drug therapy. This type of in vitro fertilization has a better chance of success because of the eggs being allowed to mature before they are placed in the woman’s uterus. Miscarriage is a common problem for PCOS women and it is becoming higher problem for PCOS infertile women. 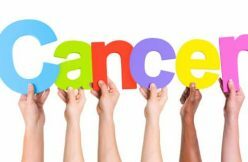 Women with PCOS tend to have a higher risk of miscarriage than women without PCOS – about 50% of women with PCOS experience a miscarriage compared to the average rate of 15% among the general population. This is why all induced pregnancies in PCOS women need very special attention and proper monitoring. using baby aspirin, foliate supplementation or low dose heparin to help with possible clotting issues. 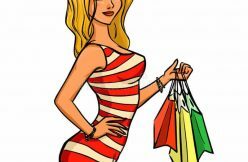 Despite the problems that can present themselves to PCOS women looking to get pregnant as fast as possible, a successful pregnancy is entirely possible and has been experienced by many women with PCOS. 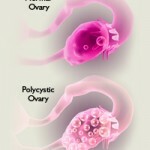 Some women with polycystic ovary syndrome will ovulate (release a mature egg) occasionally – others do not ever ovulate. It is also noted that for many PCOS women getting pregnant the second time is much easier. Furthermore, it is not unusual for PCOS sufferers to notice that their menstrual cycles begin to regulate themselves after a pregnancy. Can Clomid help if when I suffer from Amennorhea?